Adriana Furlong, 21, is a member of the Alaskan Aleut Tribe. 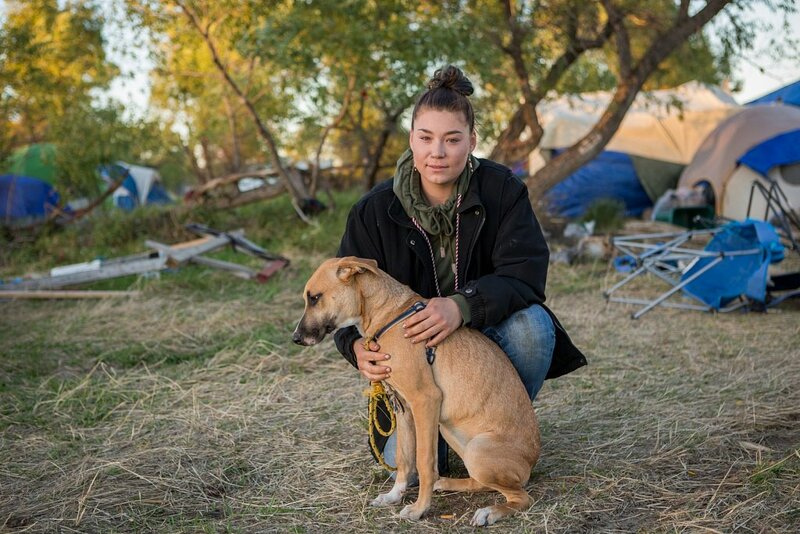 She lives in Seattle, Wash. and traveled to the Oceti Sakowin camp near Cannon Ball, N.D. to join the #NoDAPL protests. Here, Furlong sits with a dog she calls "Mama" or "MaeMae," who she found in the camp. She's searching for the dog's owners. September 25, 2016.